Just repeat this quote a few times to yourself while you imagine the incredible levels of success someone like Dr.J (or anyone you admire) was able to reach in his/her lifetime. The world is a demanding place. You are always working to meet expectations in your business/career, your finances, commitments to family and friends, and so on. But when the world demands more of you than you think you can handle, you immediately feel disempowered and weakened. When you think in this new, empowering way, you will notice an immediate shift in energy and enthusiasm. You subtly go from a sense of overwhelm to a sense of challenge and excitement. 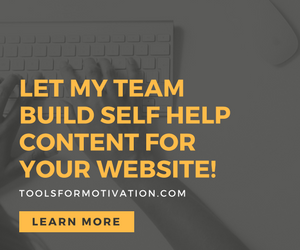 Part of my commitment to produce 100 motivational articles, audios and videos in 100 days was one method I implemented as a way to demand more of myself. Creating “motivational style” content is not simply a rote routine you bang out during a lunch break. In order to do a good job with this challenge, before EVERY update, I had to think about my challenge and remind myself that its not just about creating content… it is about demanding myself to actually FEEL motivated and inspired. To condition myself to find ways to get enthused even if I wasn’t in the mood. When you demand more of yourself, what you are really doing is acknowledging your TRUE potential and you are taking action to ensure you tap in to MORE of that potential that may have been previously lying dormant. What are some areas of your life where you can demand more from yourself?